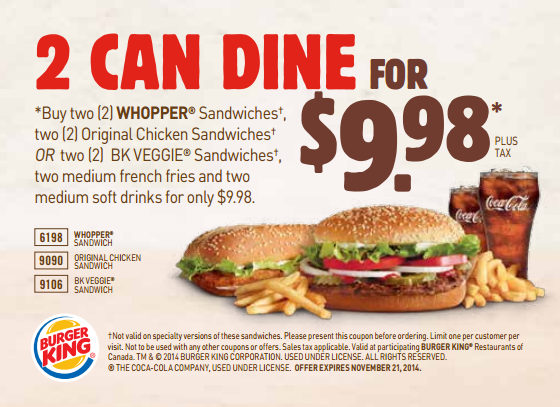 Burger King Canada launched their new coupons valid until November 21, 2014. 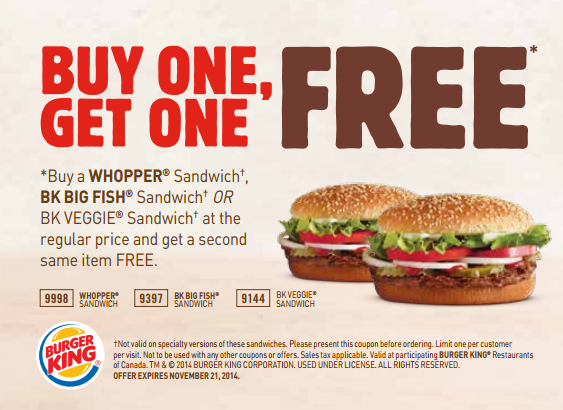 Download the new Burger King coupons to your computer and print them out so that they are handy next time you drop by in your Burger King. 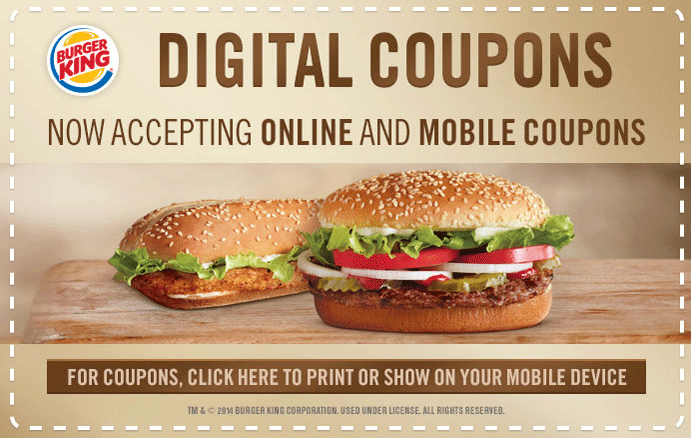 In addition, Burger King Canada now allows to keep your coupons on your smartphone. Whenever you are at the cashier, just show the coupon to the clerk and they will apply the code from the coupon onto your order. Download the new coupons (in PDF) and use them whenever it's convenient. 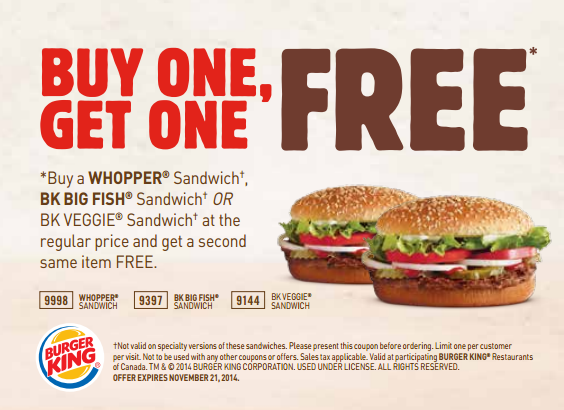 Here are 3 good offers from all the new Burger King coupons - there are 8 coupons in total in this batch valid until Nov. 21.